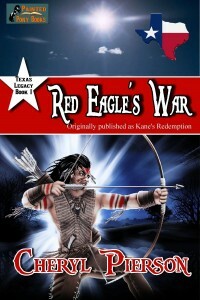 A ten-year-old boy fights for his life when he is taken prisoner by a band of raiding Apache. Steeling himself for death, Will Green is shocked when a lone man walks into the Apache camp to rescue him several days later. Driven by the secret he carries, Jacobi Kane has followed the Indians for days and needs to make his move to save the boy. With the odds stacked eight against one, his chances for success look pretty slim. But even if he's able to rescue the boy and they get out alive, what then?